Taking the parents to Oakland's beloved beer garden. Ellen Cushing Beer Revolution is pretty fantastic. Hours: Mon.-Thur. noon-10 p.m., Fri.-Sat. noon-11 p.m., Sun. noon-9 p.m.
You know Beer Revolution, or at least you should: the dizzying selection; the endlessly-knowledgeable-but-rarely-snobby staff; the sunny street-side patio looking out onto the Buttercup Grill and the rest of Third Street; the near-constant crush of customers, all smiling and drinking and laughing like unusually happy extras in an indie-movie bar scene. 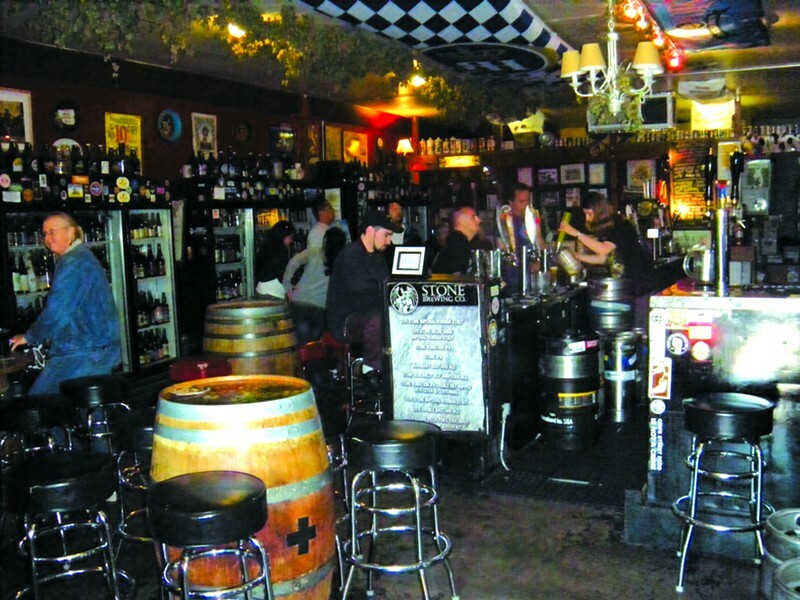 After just three years, the place already feels like an institution, at least among a certain swath of largely bearded and beer-loving Oaklanders. My father is not bearded, but he is beer-loving, and he'd never been, so: "Holy crap!" he said —he who taught me nearly everything I know about both beer and about revolutions, and who loves both with a lifelong devotion I can't even fathom — upon walking in for the first time last Thursday. It was the good kind of "holy crap!," I'm fairly certain. The drawback to being an institution is that Beer Rev is easy to take for granted, but if you've never been before, it is, indeed, a pretty fantastic(al) place — dark and cool and clubby and positively cluttered with beer-related propaganda: vintage neon signs, dog-eared posters, old bumper stickers advertising boutique breweries with intriguing names and far-flung addresses. Barrels are repurposed as tables; kegs are stacked against the wall like set pieces, and near the bathroom, used, scratchy malt bags serve as wallpaper. If you look up, a garland of hops runs along the ceiling like tinsel. Taken together, it's a lot like drinking in some kind of secret clubhouse for a beer-fanatics' society, or like what might've happened if Willy Wonka had come to his senses and realized that beer is way better than candy. Outside on the patio, it's a little less cluttered and a lot brighter, with big, umbrella-bedecked picnic tables; a fleet of adorable and very-much-allowed dogs; and, on weekends, approximately one million like-minded people. (Business is so good, in fact, that the bar will be expanding next door sometime this summer or fall, according to co-owner Fraggle, with 23 taps and a German-vegetarian menu — "just like the original, but with food.") 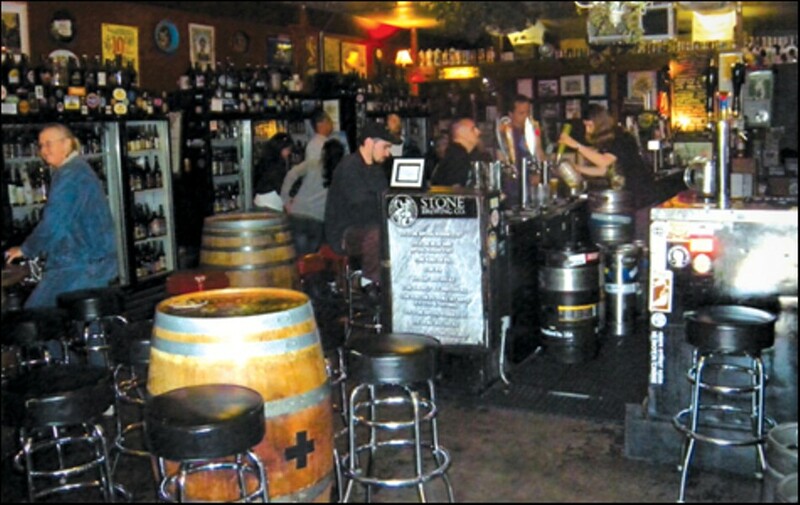 Beer Rev is blatantly a beer-lovers' bar, a logical outgrowth of the Bay Area's craft-brewery scene — as its website professes, "only quality, non-mainstream beer is supported and served!" But somehow — maybe because of the staff, or the surprisingly diverse clientele, or just Oakland itself — it manages to defy the odds and feel welcoming to everyone, whether it's a pair of very-hip-but-also-very-middle-aged downtown Oakland office types, ID cards still hanging from their necks, or their twentysomething daughter. On a sunny afternoon, it becomes alarmingly easy to fantasize about spending the rest of your life here. Listing the beers is pointless, not just because there are forty-some-odd on tap and hundreds more in coolers lining the walls, but because they change nearly constantly; Fraggle once told me that the bar's website can't even be expected to be reliably up-to-date, with kegs being replaced daily and sometimes hourly. But suffice it to say I've been here at least one hundred times and have never been disappointed, and I wasn't on Thursday, nor were my parents. We did what I always do, which is ask one of the aforementioned endlessly-knowledgeable-but-rarely-snobby staff members for his or her advice and follow it blindly. We all ended up with some variation at the nexus of hoppy and delicious, and sat outside on the patio among the movie extras and the dogs and the sunshine. My parents deemed the place "friendly," "impressive," "authentic," and possessing of an "overwhelming selection," which about sums things up. My dad made friends with the bouncer and affirmed his like of the place (though he did wish they had nachos). I tried to explain to my mother what a hipster is. All three of us drank our beers happily and quickly. My parents will be returning.